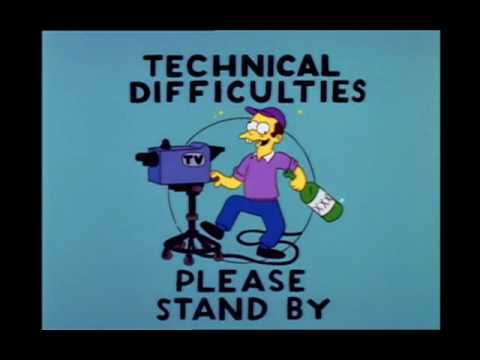 Please Stand By: We Are Experiencing Technical Difficulties | Book Fight! Hi, everybody! In his recent move, apparently Mike misplaced a cord required for editing episodes we’ve recorded with our portable recorder. A new one is on the way! And we’ll get the new episode–on Lincoln in the Bardo, by George Saunders–up as quickly as we can! Sorry for any disturbances this has caused in your weekly routine. Please rest assured that Mike has been punished appropriately. We should have the new episode up in the next day or two, depending on when the cord arrives.